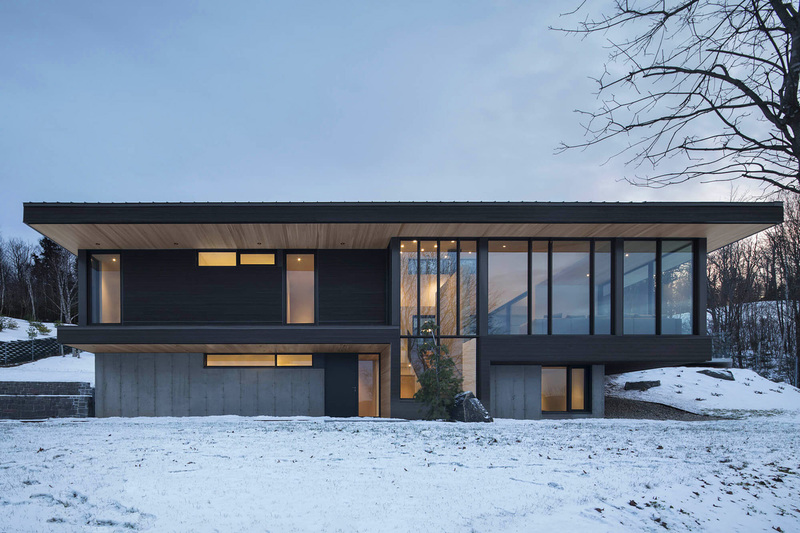 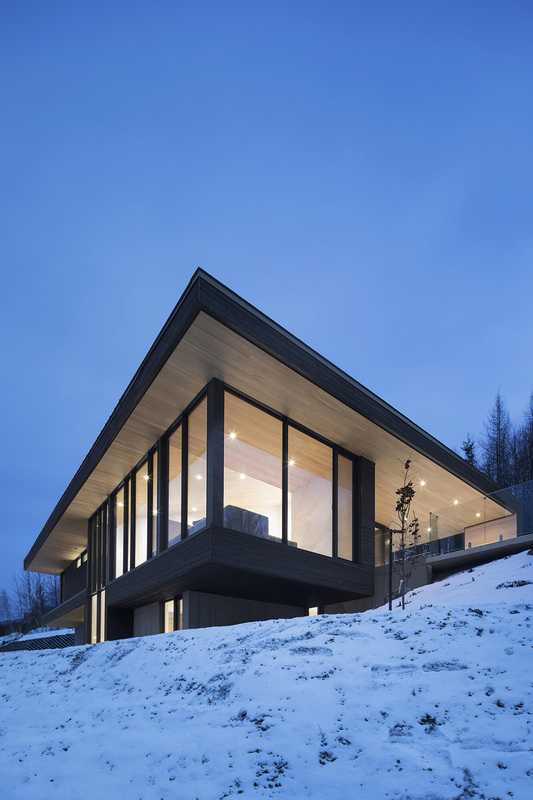 Neighboring the Le Relais ski resort in Canada, the Villa Vingt is inspired by its sloped plot. 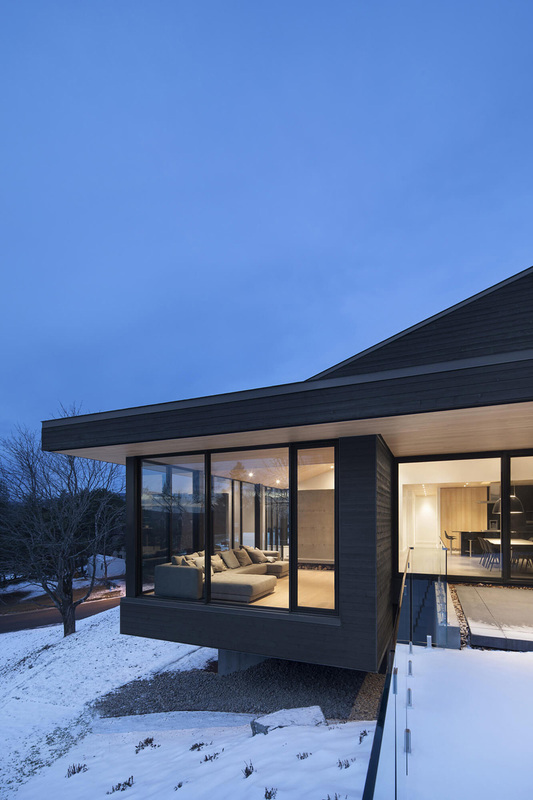 The modern villa is nestled into a snowy bank, opening up fully to the north. 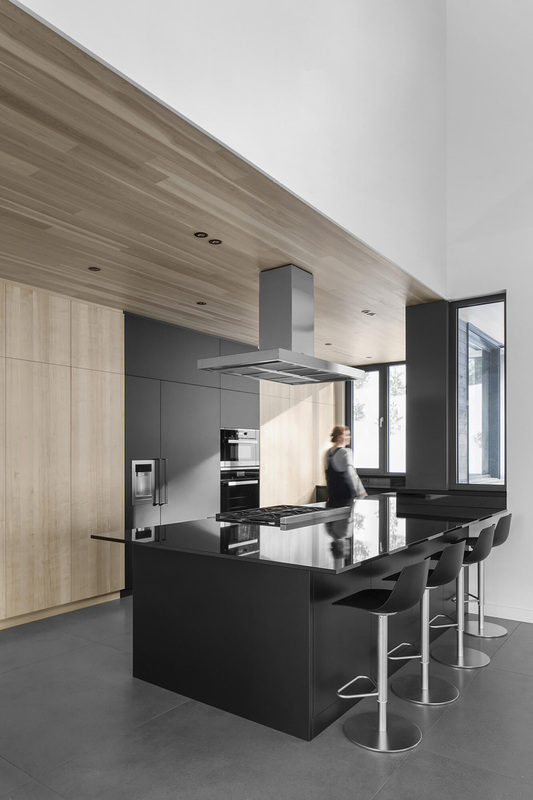 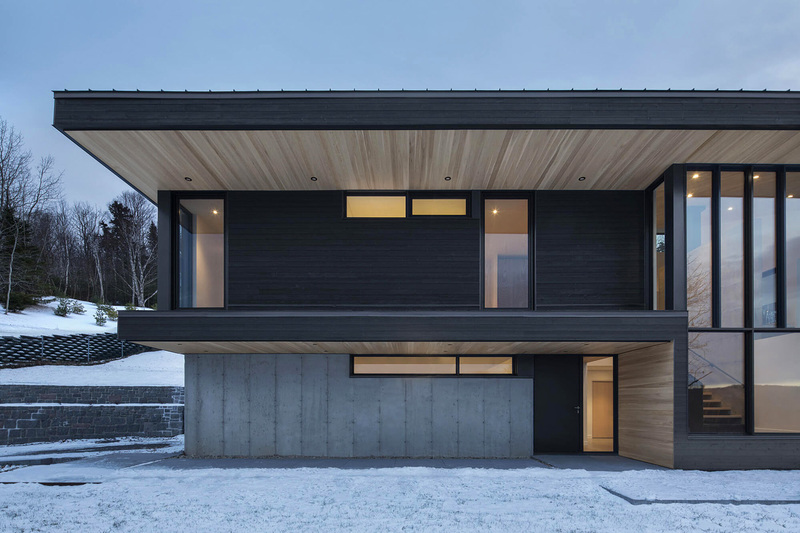 Dark timber planks create the external facade, contrasted by a light-filled interior. 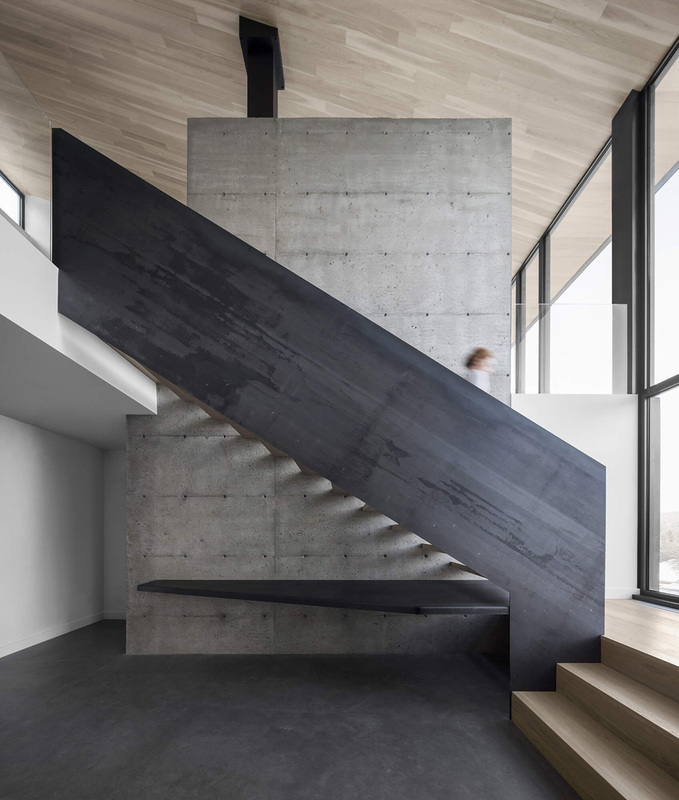 At the center of the modern home is a double-height concrete wall. 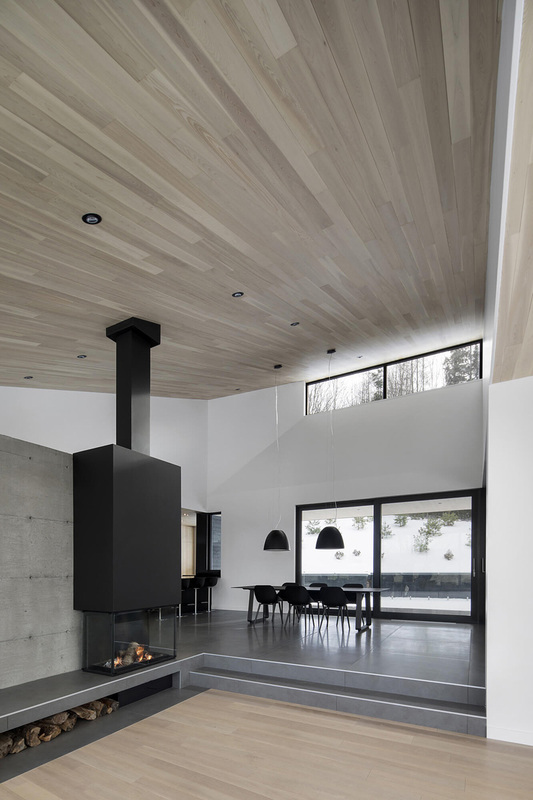 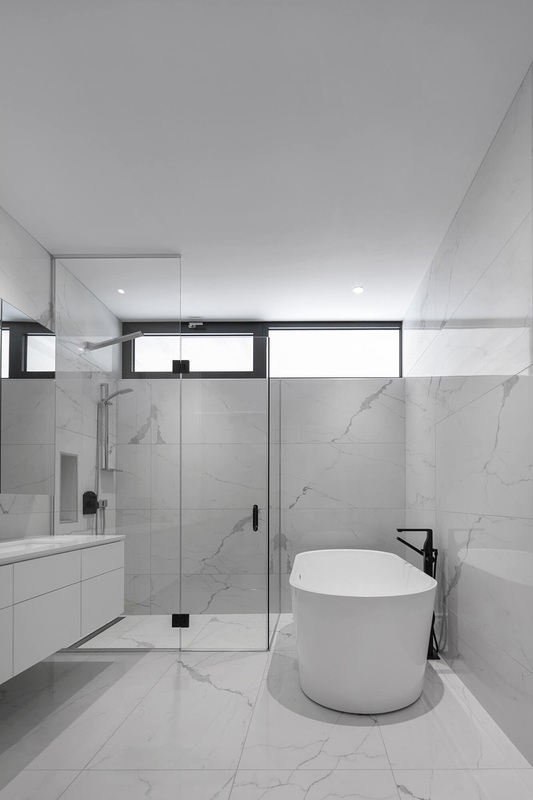 It not only creates a divide between interior spaces but also acts as an accent to the white walls. 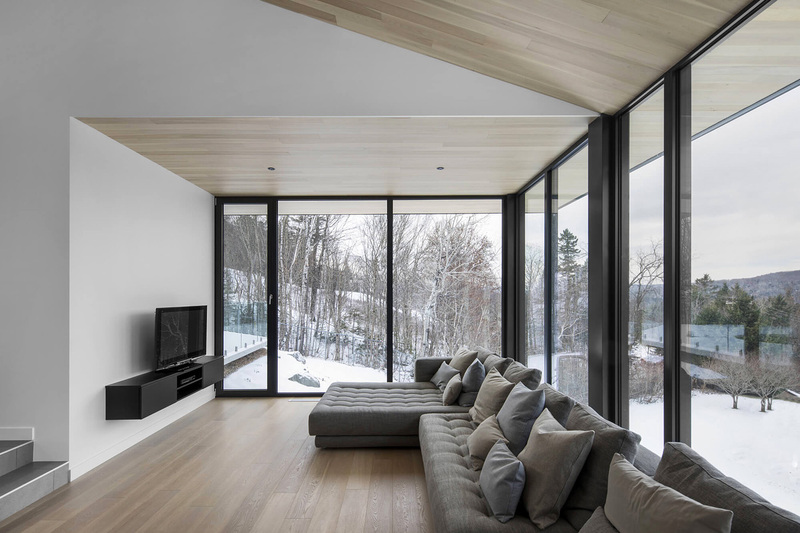 White cedar ceilings run out over the outdoor decks, adding warmth to both the interior and exterior palettes. 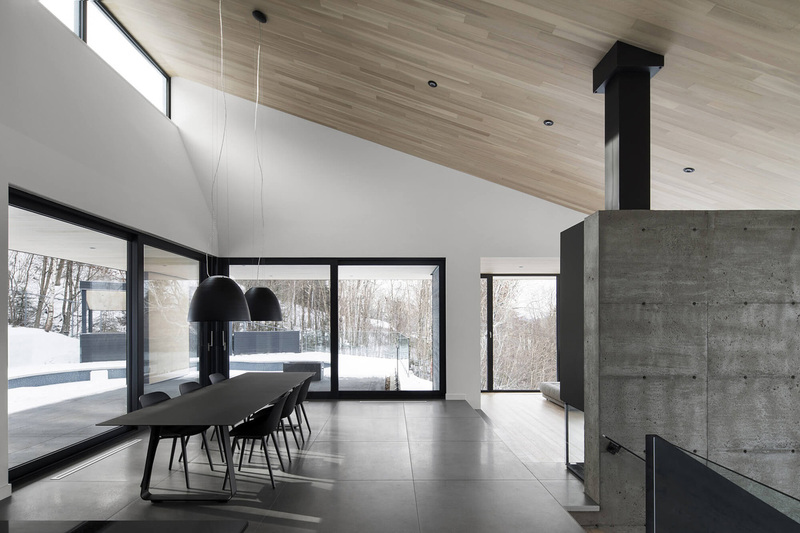 A second story living area cantilevers over the landscape, floating above the ground level. 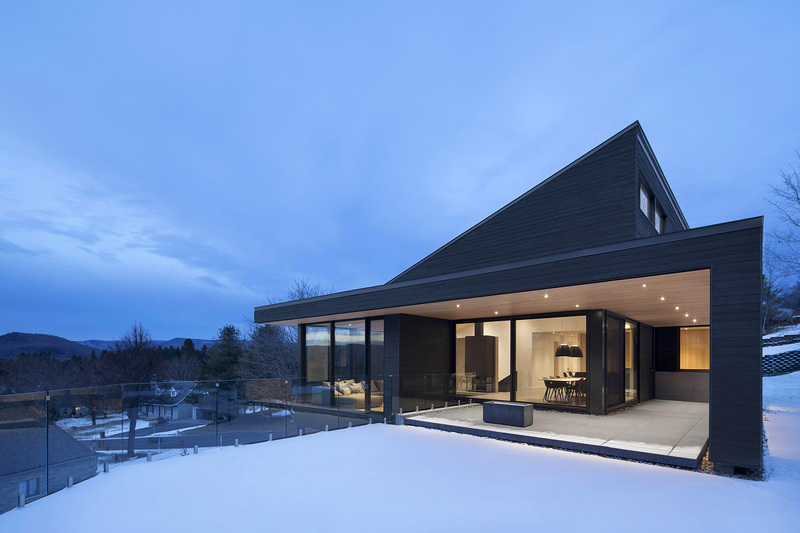 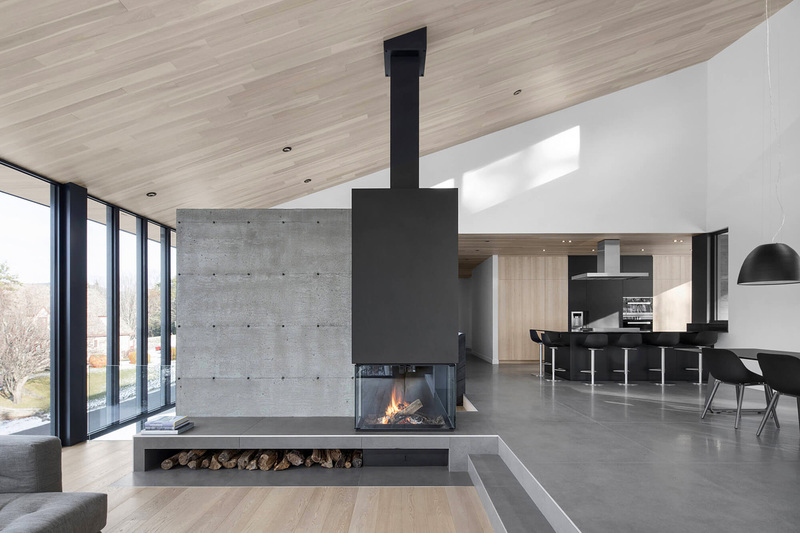 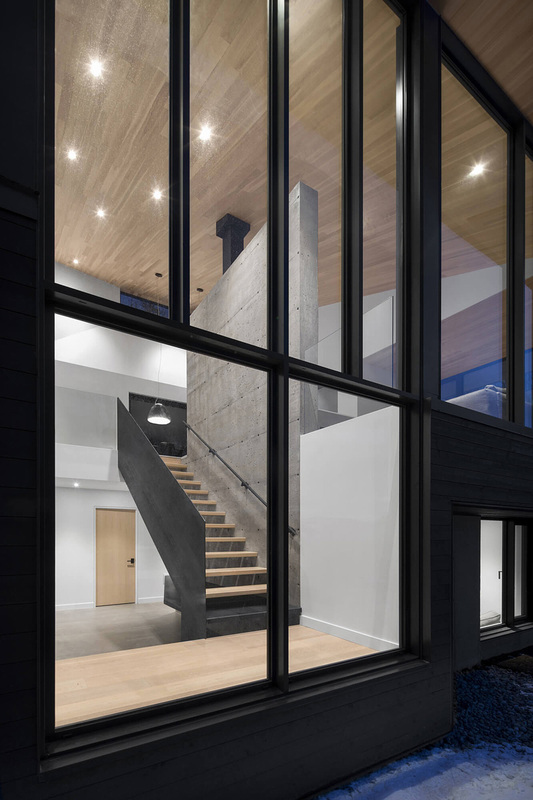 Wrapped in glazing, the room is afforded sweeping views of the surrounding Laurentian hills. 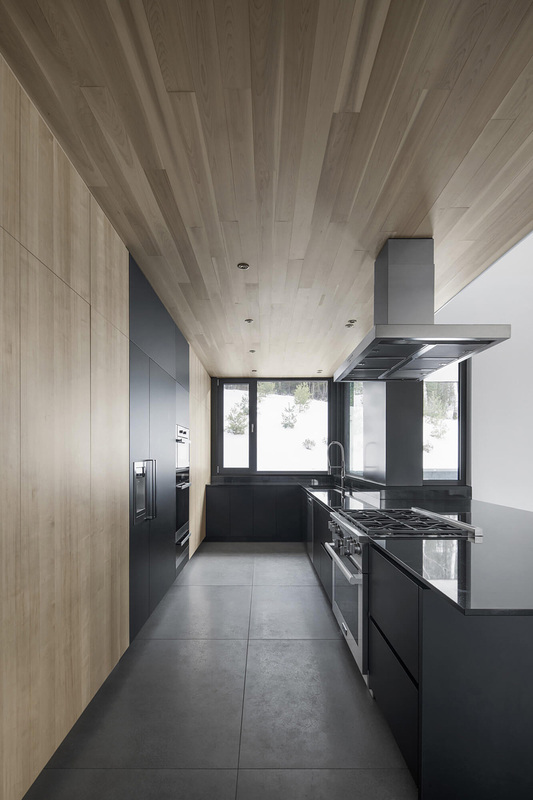 You might be also interested in Ultramodern Villa Ypsilon or Modern Countryside Villa.